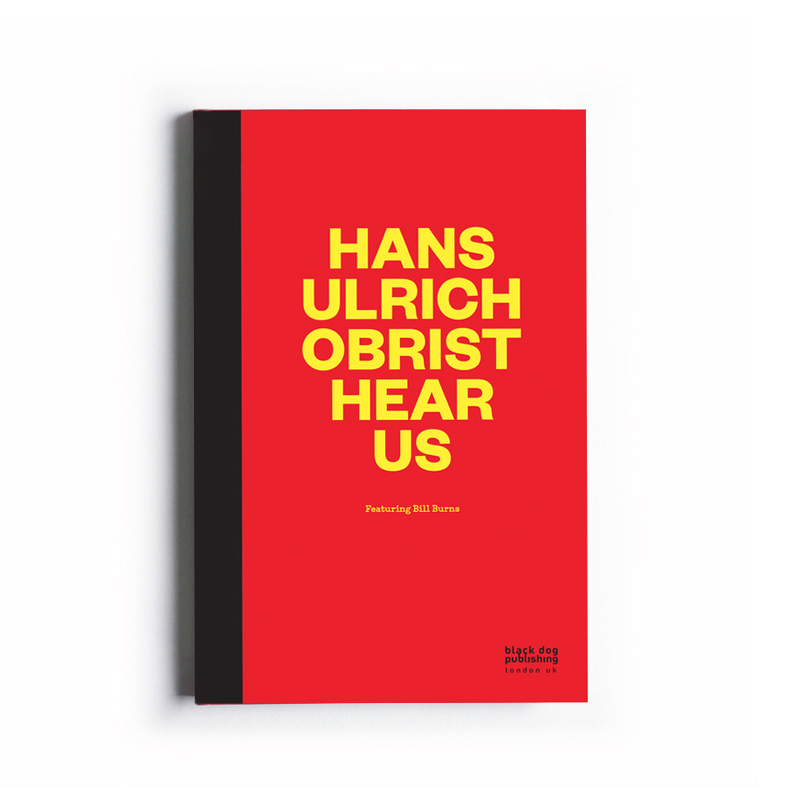 Hans-Ulrich Obrist Hear Us is a collection of writings exploring the transgressive and transdiciplinary nature of Burns’ Practice. The publication is richly illustrated with material representing Burns’ work across photography, performance, writing and artists’ books. Hans-Ulrich Obrist Hear Us also includes a first-person narrative by Burns, telling the story of his life through episodes that, although seemingly incongruous, have played a formative role in the development of the artist’s career. This history, like memory, is less contiguous than spontaneous, more preoccupied with prophecies and mood swings than the sterileness of factuality. We would like to acknowledge the generous support for this project from the Dunlop Art Gallery (Regina, SK) and Rodman Hall Art Centre, Brock University (St. Catharines, ON). BILL BURNS was born to a family of booksellers in Regina, Saskatchewan. His love of nature and animals and his concerns about advanced industry has been the theme of many of this projects. His exhibitions have been produced in major museums around the world. His most recent publication, Three Books and an Audio CD About Plants, Animals, and War, was published by Verlag der Buchhandlung Walther Knig in Cologne. He lives in Toronto. DAN ADLER is an associate professor of modern and contemporary art at York University in Toronto. He is the author of Hanne Darboven: Cultural History 1880-1983 (Cambridge, MA: Afterall Books/MIT Press, 2009), and co-editor (with Mitchell Frank) of German Art History and Scientific Thought: Beyond Formalism(Burlington, VT: Ashgate Press, 2012). A former senior editor of the Bibliography of the History of Art at the Getty Research Institute in Los Angeles, he has published in the Journal Art History, and regularly contributed reviews to Frieze and C Magazine. He is currently working on a book manuscript on the aesthetics of contemporary sculpture.